Eastbourne Cricket captain Jacob Smith expects to hand debuts to four new players as they start their competitive season with a Gray Nicolls T20 Cup clash at Rottingdean tomorrow (Saturday, 3.30pm). Player coach and former Kent batsman James Hockley will make his first appearance for the Saffrons club as will batsman Malcolm Johnson and allrounder Ethan Guest, both close season signings from Bexhill. There will also be a place in the starting XI for their Australian overseas player Dan Arms, a top-order left-handed batsman. 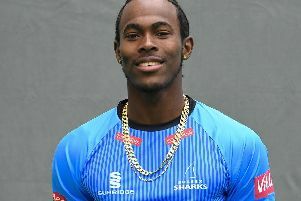 Sussex and England under-19 player Delray Rawlins may also feature at Falmer Road. The seconds are also in T20 action at Rottingdean tomorrow. Their match starts at 12.30pm.